Versarien plc (LON: VRS), the advanced materials engineering group, today announced that it has signed a term sheet with Beijing Institute of Graphene Technology Co. Ltd (“BIGT”) covering the proposed cooperation between the parties to develop Versarien’s graphene related business in China. Neill Ricketts, CEO of Versarien, commented: “We are very pleased to have reached the term sheet stage in our discussions with Beijing Institute of Graphene Technology. This developing relationship potentially offers a huge opportunity for the Company and we look forward to progressing matters. “During the last six months we have announced a number of MOUs with global manufacturers based in China, together with securing relationships with Chinese provincial government bodies. The plans with BIGT are complementary to these. BIGT was founded in 2017 by Aero Engine Corporation of China (“AECC”), Beijing Institute of Aeronautical Materials (“BIAM”), and the Beijing Government, based on nearly a decade of graphene research by BIAM. BIAM and the National Graphene Institute at the University of Manchester have been working together on a wide ranging five-year collaborative research project since 2015. The Term Sheet, which is subject to contract and formal BIGT board approvals, was signed on Sunday 14 April 2019 at a public ceremony in Shenzhen, China, attended by representatives of BIGT, the Company and from the Chinese and UK Governments. Subject to the completion of due diligence and the entering into of formal documentation to the satisfaction of both parties, the Term Sheet envisages BIGT assisting Versarien with the establishment of a subsidiary in China, wholly owned by the Company. Any such Versarien Chinese subsidiary would be focussed on the manufacture of Versarien’s graphene and other 2D materials in China and their sale to Chinese customers, working in collaboration with BIGT. This would not preclude Versarien entering into other ventures in China and it remains the Company’s preference that any Chinese manufacturing base is situated in Jinan. The Term Sheet envisages that BIGT will provide funding to Versarien for the proposed subsidiary and other corporate purposes in the form of an equity investment in the Company, providing BIGT with a holding of up to 15% of the issued share capital of the Company, although there can be no certainty that a formal agreement will be entered into, nor the specific terms that any such agreement may take. It is the Company’s current intention that in any fund raising of this nature existing and prospective private and institutional investors will be given the opportunity to participate on the same terms. Versarien and BIGT are currently undertaking additional due diligence and detailed negotiations. Further announcements will be made as appropriate. 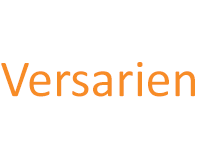 Versarien plc Letter of Intent with Tunghsu Optoelectronic Technology Ltd.